It’s going to be a very merry and Sustainable Christmas at the Botanic Garden this year! Join the Growing the Future team for a wonderful series of short courses, which aim to reduce the excess, waste and stress often associated with Christmas. To book on to a short course, please visit the Garden’s Eventbrite page, please note that the free short courses do not include entry to the Garden. For admission prices, please see the Garden’s website. If you’re looking to treat your loved ones to a special Christmas gift this year, how about a Growing the Future course voucher? From beekeeping to vegetable growing, and bee garden cosmetics to planting design – there’s something to suit everyone! Please visit the Growing the Future page on the Botanic Garden’s website, call 01558 667150 or email gtf@gardenofwales.org.uk for more information. 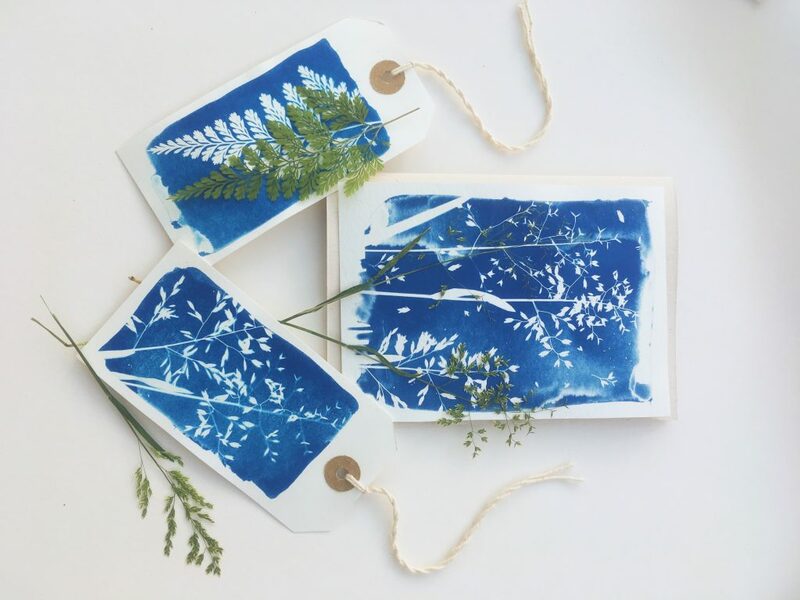 An opportunity to have a glimpse of the magical cyanotype process, while making your own beautiful and unique gifts, cards or gift tags using seasonal flora and fauna picked at the National Botanic Garden of Wales. Booking is essential. To book your place, please visit the Garden’s Eventbrite page. If you enjoy this taster session, Growing the Future will be holding full-day courses in the near future. This free workshop does not include entry to the Botanic Garden, please visit the Garden’s website for a full list of entry prices. (Free Garden entry still applies to Garden Members). Choose from a bountiful selection of foraged materials and add your individual green touch to a seasonal hand woven petite wreath base. There is willow and birch in varying sizes to suit your space. Create a tasty ‘tweet’ for the birds this season and take home a pretty pine cone feeder to hang in your outdoor space. Look no further than the Garden this Christmas. Booking is essential. To book your place, please visit the Garden’s Eventbrite page. Bring a bit of the outside in this Christmas with help from the National Botanic Garden of Wales. Come and make a traditional wreath or ring as a festive decoration for a door or table centrepiece. Made from foraged and recyclable materials to reduce the waste after the Christmas festivities, just place on the compost heap or put in the recycling. Create your own beautiful wooden Christmas tree decorations and hand decorate them using pyrography. Using pre-cut, salvaged wood from the Botanic Garden you can create your own crackers, baubles, trees, stars and gift tags. Add those finishing touches using a variety of materials including environmentally-friendly water pencils, recycled ribbons, thread and raffia. Add a magical green twist to your tree this season. Shape up some stems into twirling stars, layer fruity spiced garlands for colour and scent, and garnish birch slices with foraged charms. Bring a warm and cosy look to an old plastic pot with a natural wrap. Tuck in some bulbs to create a gardening gift for an early display. During this course, Growing the Future’s Science Officer, Dr Kevin McGinn, will introduce the key features used to identify different conifer families and species and will explain the origins of some ‘dwarf’ garden conifers. Booking is essential. 10.30am-3pm. £35 (£32 Concessions & Garden Members). For more information, including how to book, please call 01558 667150 / 01558 667185 or email gtf@gardenofwales.org.uk.